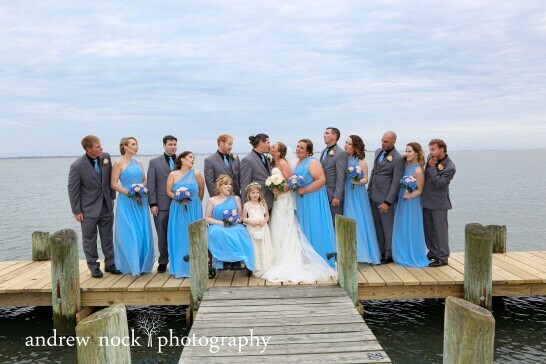 Let the Captains Cove team plan you plan your wedding or upcoming event at our beautiful waterside venue. 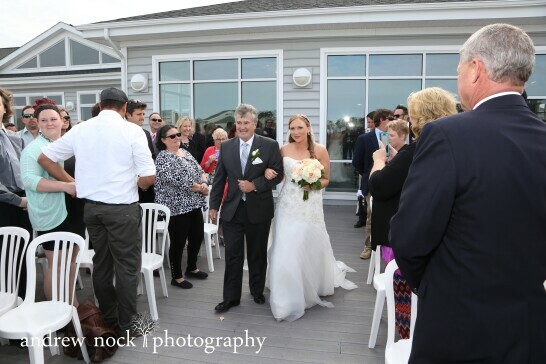 Combining the best of both, get married on the beach and have your wedding reception in our modern clubhouse! 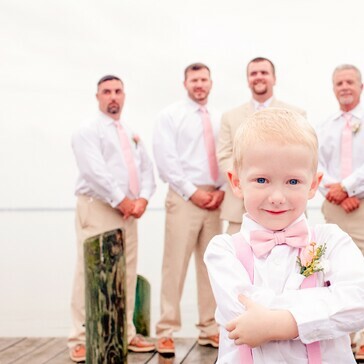 Offering enchanting views of the Chincoteague Bay, modern resort-style clubhouse facilities, and full service catering experiences, Captain’s Cove Golf and Yacht Club host elegant events on Virginia’s Eastern Shore. Panoramic views of the Chincoteague Bay stream through the clubhouse floor to ceiling windows. The space’s natural tones and classic decor, lend themselves to creating, a one of a kind vision. A lively poolside tiki bar and southern-style screened veranda, allow guests to soak in the bayside atmosphere of Captain’s Cove. Personalized venue consultations, seasoned event managers, and dedicated event staff ensure that each detail of your occasion is provided for. With creative menus tailored to your tastes, The Marina Restaurant caters classical meals, unforgettable nuptial feasts or fun celebratory fare to delight your guests. 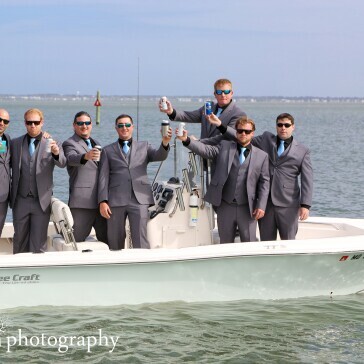 Captain’s Cove Golf and Yacht Club crafts the vision of your day, creating moments you will treasure forever. Coastal Charm, Captain’s Cove. 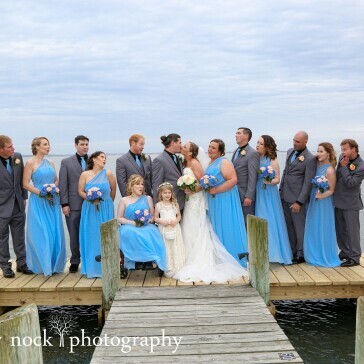 Besides the obvious breath taking back drop, we proudly provide the opportunity for the exclusive use of the clubhouse without time restrictions. No need to worry about your reception running over or extra fees for doing so. The clubhouse is yours all night long. We are also proud to offer both a plan A and plan B for any outdoor ceremony. Over the years we’ve come to intimately understand the challenges in flawlessly executing an event. Captain's Cove Golf and Yacht Club’s continued success comes down to an incredibly personalized level of service, which we deliver time and time again. 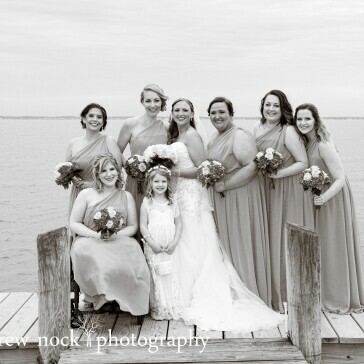 Our staff will go above and beyond to be sure your day is just right. 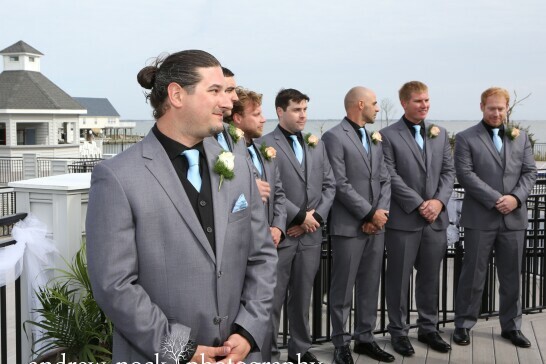 Your special day will take place against a picture perfect backdrop of Chincoteague Island while our team works tirelessly in the background combining their dedication and experience ensuring every detail is immaculate and nothing is overlooked. We are here to create perfect, beautiful memories that will stay with you forever. Thank you for your interest in hosting at Captain's Cove Golf & Yacht Club. A member of our team will be in touch with you shortly to discuss details and next steps! Photos by: Wild June Photo Co.